Dustin Johnson finished runner-up in last year's U.S. Open at Chambers Bay. OAKMONT, Pa. -- Dustin Johnson's physical gifts have never been in dispute, but sometimes it seems like everything else is. 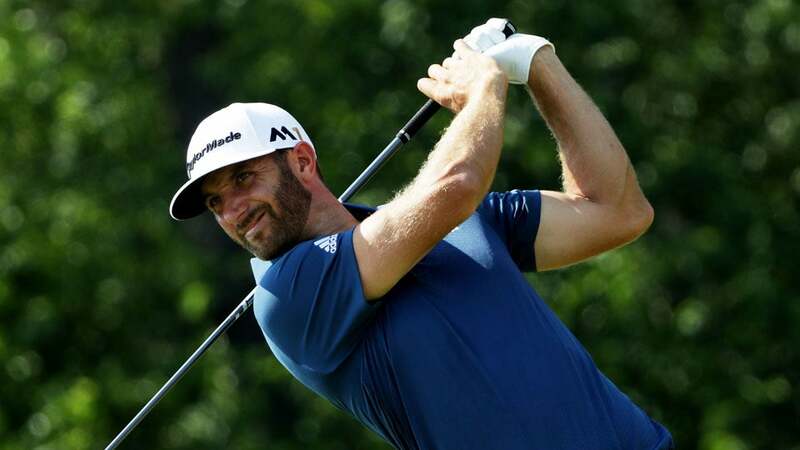 In a scene reminiscent of the 2010 PGA Championship at Whistling Straits, Johnson wound up in another rules dustup at the 116th U.S. Open at Oakmont on Sunday. But he played so well it didn't matter, beating Jim Furyk (66), Scott Piercy (69) and third-round leader Shane Lowry (76). "Luckily it didn't affect the outcome," Johnson said. He laughed. "It's just one more thing to add to the list, right?" Johnson birdied the par-4 18th hole to ice it, and after the round he was given a one-stroke penalty for his ball having moved as he addressed it on the fifth green. The penalty stroke, while controversial, was a moot point as Johnson's 69 and his four-under total was still good for a three-shot win. It marked Johnson's first major victory at age 31, and atoned for a handful of late gaffes on some of golf's biggest stages, most recently his three-putt par at the 72nd hole of the 2015 U.S. Open at Chambers Bay. Sergio Garcia (70) and Branden Grace (71) tied for fifth, five back. "I've been so close so many times," Johnson said. "It's just an unbelievable feeling. It's hard to describe." Johnson was told on the 12th tee at Oakmont on Sunday that he might be assessed a one-stroke penalty for his ball moving on the fifth green. Had he touched the ball with his club? No, Johnson said. Had he grounded his club behind the ball when it moved? No, he said. The USGA official let him go, and Johnson laced a drive 365 yards down the left side of the fairway, and played steady golf from there as social media erupted with reactions, much of it venomous toward the officials. On Twitter, Rory McIlroy called the interrogation "ridiculous" and "amateur hour from the USGA." Luke Donald said it went against common sense, pointing out that round objects on lightning-fast, undulating greens tend to roll of their own accord. Jordan Spieth called the situation a "joke." "There's no way I feel I caused the ball to move," Johnson said. The zany ending was a fitting end to a zany week. Storms marred the opening round, stopping play and throwing the tournament into chaos. For the first few days you could hardly tell who was leading, or even who might make the cut. Players set early wake-up calls to get to the course at first light and resume the previous day's rounds, or to start new ones. All the while, Johnson blasted tee shots and looked like he was on a mission to atone for his close calls, including the 2010 U.S. Open at Pebble Beach, where he led through 54 holes only to shoot a final-round 82. At Oakmont, Johnson led the field with an average of 317 yards per drive, almost 10 yards longer than his nearest competitor, Justin Thomas. "Definitely an advantage," said Johnson, who will move to third in the World Ranking. Lowry started the final round with a four-shot lead over Johnson and Andrew Landry, ranked 624th in the world, but the bearded Irishman shot 38 on the front nine, and three straight back-nine bogeys sealed his fate. Johnson made a clutch par putt of just under 10 feet at the 16th hole, and merely had to navigate 17 and 18 without suffering a catastrophe. Given his track record, no one looked away until he'd signed his card. Top-ranked Jason Day made a run up the leaderboard with an eagle at the par-5 12th and a birdie on 13, getting to one under par for the tournament. But he suffered a greenside bunker misadventure at the short par-4 17th hole on the way to a double bogey 6. Day shot 71 and finished two over par, tied with Jason Dufner (70) and Zach Johnson (71) six back. "One of these years it's going to fall my way," Day said. Johnson said he refused to study the leaderboards, and by the time he got to the 18th hole he had to ask his caddie and brother Austin about the size of his cushion. After rolling in his short birdie putt on 18, touching off one final roar, Johnson was met by his toddler son Tatum, and then fiancé Paulina Gretzky. It was the kind of Father's Day scene that had always been for others to enjoy, not D.J., but now he'd broken through. Finally. "I just kept telling myself it's just me and the golf course," Johnson said. "I'm just playing the golf course today."